Are you struggling with dry and damaged hair? Or is acne and cracked skin that seem to be ruining your weekend out with your buddies? What if there was one simple solution to most of your hair and skin problems? Yup, and it is Argan oil. But with tons of brands, it is often tough to figure out which brands have the most effective Argan oil. But not anymore. In our guide to buying the best Argan Oil in India for 2019, we’ll tell you exactly which brands you can really trust and why. 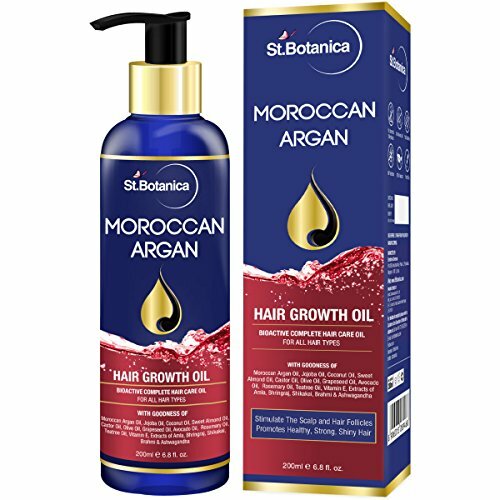 St Botanica: Whether you have frizzy hair, a dry and itchy scalp due to dandruff or you need a rescue mission for the ever so increasing hair fall, with the nourishing properties of not just Argan but other effective oils like Jojoba, Castor etc. it is the 100% natural savior you have been praying for. Rouh Essentials Argan oil: If you are looking for something on the cheap that does not compromise on quality and gives you equally good healing properties when it comes to hair and skin both, this is the Argan oil you need. 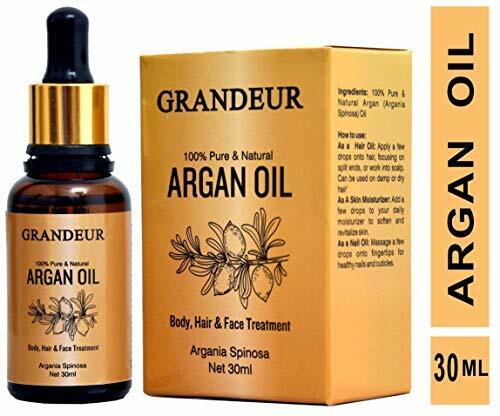 If you are looking for an Argan oil get rid of your hair-related problems, you have just found the perfect solution irrespective of whether you man or a woman. With the combining power of multiple hair strengthening ingredients the oil rejuvenates and re-nourishes your hair from the root to give you the frizz-free silky hair you always wanted. Not only do these ingredients protect the hair from excessive heat but will also soothe and clean the scalp. And in case you did not know it, a dirty scalp is often the biggest hindrance to hair growth. They are also rich in fatty acids which means when your hair starts to thin down, they come to the rescue by restoring the lipids. Plus, you do not have to worry about having greasy messy hair after applying the oil as it is quickly absorbed by the scalp. The oil is free from any unwanted substances like sulfate, SLS, Parabens, added color or other harmful chemicals which means you get a 100% natural oil (just the way oils were meant to be). With the convenient pump system, you can access the oil anytime without any wastage. Take to 2-3 drops of the oil and gently massage it into your scalp in a circular motion and leave it overnight. Not will this give your hair a nice shine but in the long run, it will also repair hair damage as well as frizzy and brittle hair. The oil has a strong smell so if you happen to have allergies, this is not the right brand for you. Also, it is on the expensive side as it can cost you over Rs. 800. From the hair to the skin, if you an itchy, dry skin what you are for a solution too, this is exactly the oil you need. All Body Moisturizer - Argan Oil Has Excellent Moisturizing Properties And Can Help People With Dry Skin. It Is Also A Recommend Oil For Exfoliation. Its Antiseptic And Antifungal Properties, Help Against Common Skin And Hair Conditions. Firstly, the Grandeur is the all-in-one skin care oil you need and does not just moisturize your skin, there is more to this Argan Oil. Have you been struggling with dry skin far too long? You can either apply the oil directly onto your face or just add some drops of the oil to coconut oil or aloe vera gel and within a few weeks, goodbye dry skin. You can even leave this recipe on the face overnight since the gets absorbed quickly and will not leave you with the sticky, greasy feeling other oils do. Similarly, a few drops of the oil in any Tea Tree Oil and it can even fight off various skin infections and even pimples (a natural solution to the nightmare pimples). And if that wasn’t enough, Argan oil also comes with antifungal and antiseptic properties as well for both the hair and the skin. Talking about hair, a few drops of the oil with your shampoo will rid your hair of the fizziness and itchy scalp by removing dandruff. It also acts as a conditioner. Plus, if you are used to applying face masks for exfoliating, adding a few drops of the oil to it improves the effects. It will also open up your pores by removing dirt and dead cells giving your skin a natural glow. Lastly, the oil comes packed in a nice dropper bottle which makes it easy to get exact amounts for mixing with other oils or even applying it directly on the skin. And before I forget, this too is a 100% natural Cold Pressed Argan Oil, free any unnatural chemicals. And since it is cold pressed it retains more natural compounds for more effectiveness. On the downsides, you only get a 30ml bottle and also it does not work that well on hair as on the skin. Do you want the best bang for your buck? Available for less than Rs. 300, Rouh Essentials offers both healing and rejuvenating properties for your hair and skin. Being extracted via the cold-pressed method, this Argan comes packed with natural compounds that other extraction methods often destroy and keeps it 100% natural. And it is because of this it works pretty well on both hair and skin. For the best results on hair combine 2-3 drops of the oil with lavender oil, Tea Tree Oil and Jojoba Oil. This helps you get rid of any dandruff and doing the same with your everyday shampoo gives it a natural shine and makes soft. For the skin, team it up with some coconut. This will kill any infection or allergies on the skin while keeping it moisturized. You can also use the oil in tandem with other oils for various other purposes like aromatherapy or just keep your home smelling fresh and cozy. But the one things that really stands out about this brand is their premium packaging. Not only did does it comes with convenient dropper + bottle but their boxing, special bag, and a card with handy recipes and tips are sure to leave anyone impressed. You also have the option of choosing between 30ML and 50ML bottles. There have been complaints of the smell not being as expected since it lacks the nutty smell Argan oil is known for but nonetheless works pretty well. 2-3 drops in Jojoba Oil, Lavender Oil, and Tea Tree Oil for a natural shine and silky hair with zero dandruff. This 100% pure Argan Oil has been Cold Pressed from the Kernels of the Argan Nut which means you get oil with zero added fragrance or other chemicals (as we said, it is 100% natural). As for the hair, it may not be as effective as the special St Botanica Hair Growth Oil but nonetheless works well if you do not have damaged hair and are just looking for a natural solution to split ends. It also gives it a nice shine, moisturizes the scalp, prevents frizz and protects it against the heat created by hair dryers and curlers. For men with beards and women who shave their legs regularly, if you suffer from razor bumps and burns then a few drops of Argan oil is exactly what you need as it will help soothe the skin down. Not only that, packed with Vitamin E, it will also help you keep away those dreaded wrinkles and stretch marks, in turn, giving you a natural glow. It also prevents Acne and is also a great Lip balm or toner (for any women, this just the skin care solution you have been looking for). This too is on the expensive side as a 50ml bottle will cost you over Rs. 600. Plus compared to our top pick, it does not repair damaged hair. So if hair fall is the problem, that is the hair oil you turn to. Another great pick for your hair, this shampoo like Argan Oil is a slightly cheaper option and works quite well. 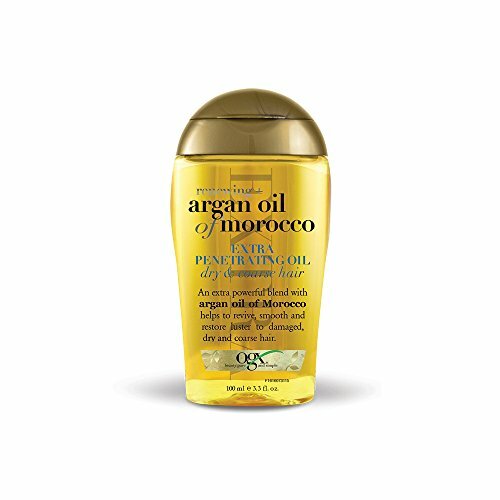 If you have coarse hair, then you will be happy to know the OGX Argan oil comes with a special penetrating formula that is meant to revitalize exactly your kind of hair. It will also return the lost shine and silkiness to hair, a few changes that you can see almost immediately when you apply it to your hair after a good shower and it will easily last you an entire day. Though it has a strong nutty smell, it does not last very long as the oil/serum gets absorbed into the pores within an hour. In the long run, regular use will also help strengthen the hair follicles which in turn reduces hair fall giving you stronger, shinier hair. Pour the serum onto your hand depending on the thickness of your hair. Rub on both your palms and then gently massage it onto your scalp like for about 4-5 minutes in a circular motion. 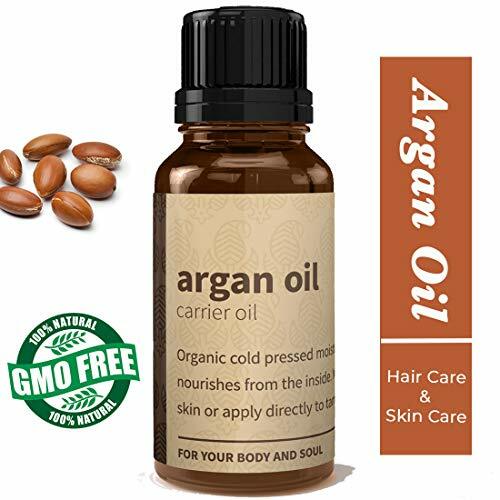 One of the few drawbacks of this Argan Oil is that it cannot be applied on the skin which limits its use as most people refer it to as a serum rather than an oil. Plus, it will cost you over Rs. 700 as is not 100% natural but nonetheless works faster and gives you good results. In case of texture, there are two golden rules. Neither should the oil be extra thick nor too light. If the oil is really light you are going to have that slippery feel and if it is really thick then it will not get absorbed by the scalp or skin (and trust me, you do not want that greasy feeling especially on hot summer days). Simply put, Argan oil should be deep yellow in color. If you had been wondering why brands refer to it as Morocco’s Liquid Gold, this is precisely the reason. If the oil happens to be different in color or is even too clear, then it is most likely mixed with unnatural substances or diluted using low-quality oils. Keep in mind, cooking Argan oil is different to and does happen to have a stronger smell and is more brownish in appearance as it is roasted. Pure Argan oil has a nutty smell. This is because it is extracted from the seeds inside of the Argan Nut and when it is cold pressed, it retains the smell and of the other required compounds giving it a natural aroma and color. But rest assured, once you apply the oil to your skin or hair the smell does not last because it gets absorbed by the skin rather quickly when compared to other oils. Please note that Argan oils that are deodorized in order to reduce the smell or extracted using chemicals often lose their skin healing antioxidants by 20-25% and it lowers their ability to heal hair fall, frizzy hair by 50%. You want a convenient way for using the oil without wasting an ounce, right? This is why most brands come with a dropper bottle design. Some brands also come with a pump system which is even more convenient. Also, as I said above, Rouh Essentials takes the whole packing up a notch. With special cards they give you remedies for the hair and skin, a premium boxing and bag, it exactly how packaging is meant to be. Irrespective of whether you were wanted Argan oil for your hair or the skin, with our buyer’s guide, finding the best Argan Oil in India should be a breeze. Just make sure you are always using 100% essential oils that have the right texture and smell and you will never have anything to worry about.